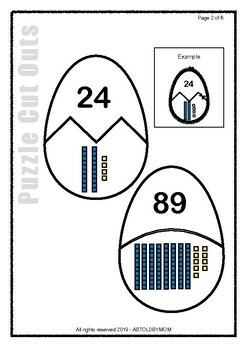 The set consists of 1 Concept Page and 5 Puzzle Pages. 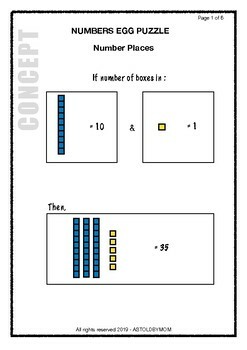 -> The Page 1 of the printable explains the concept which is to be followed in this activity. 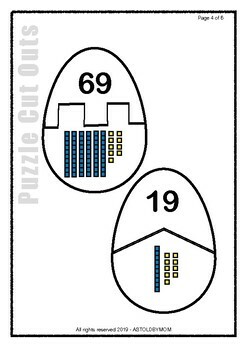 -> The following pages are to be cut out in the 2 halves of the eggs as described on the Page 2. 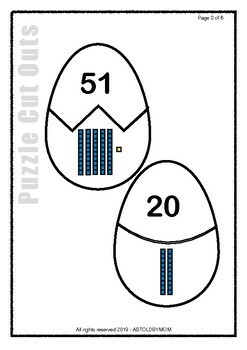 In this Egg Puzzle, the kids are required to match the Number Position (in the chart of numbers from 1-100) which is shown in the bottom half of the egg to its corresponding number written in the top half of the egg.